Over 20 years of manufacturing went into the Isuzu Trooper and all of the parts were perfected. The GM transmissions (4L30E) were used in most Isuzu Trooper SUVs and a variety of engines were tried out. Everything from 4-cylinder to V6 was used and finding a transfer case can seem a bit difficult. 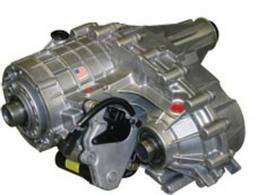 We have the Isuzu Trooper transfer case that you need for a reduced price. You don’t have to continue searching online to get what you need. Our rebuilt or used transfer cases here at www.transfercasesforsale.com are expertly rebuilt or in used condition. We are true professionals and definitely give you more for less. Part of our business was built on selling to average people. The other half of what we do is sell to salvage yards and other businesses that depend on quality parts to resell to customers. We know that everything that we do gets reflected on the people that end up purchasing our products. We work hard selecting, cleaning and rebuilding Isuzu transfer cases to make them perfect again. The 4×4 configuration, engine displacement and quality of a transmission all affect the performance of a drive train system. We understand this technology and never have issues or problems that cause a Trooper to malfunction. Some sellers write a very brief description and let you see a stock photo before you order. We do more for you. We actually explain to you what you will receive before you even order it. We know that our honesty is much appreciated by our automotive customers. A 4-wheel drive vehicle is a complex piece of machinery. We understand automotive technologies and have put in the required time and financial investment that it takes to be the best. All of the drive train components that we work on are done so right here in our own facility. We do not buy the work of someone else and resell it to you. We put our own sweat and work into rebuilding and cleaning our transfer cases for sale. It is expected for any professional rebuilder to take out the old and worn parts and make sure they are replaced with quality. We do that for you. Not only do we remove and clean the old parts, we add genuine Isuzu certified OEM parts and re-assemble the transfer case assembly professionally. Our work does not end at this point. We even do what is called a spin and compression test. The spin test checks the gear ratio and proves correct operation. The compression test is required to diagnose fluid leaks. All transfer cases pass our testing or they are not sold from our website. What we do here is use an instant quotation system to deliver our lowest transfer case pricing. We find that this eliminates many traditional problems that some dealers have although we employ a professional staff. Use our quote form or call us on the phone at (888)-508-7153 . We are very fast and super friendly. Our pricing cannot be beat online. Try us and you’ll find out.